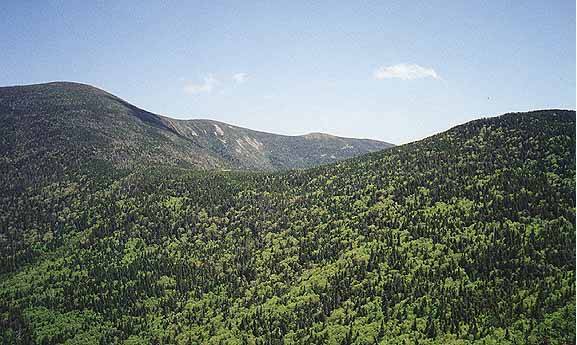 South Twin is in the northern central section of the Pemi Wilderness, along a ridge that runs from the Bondcliff to North Twin. It is also close the Galehead which is below near Galehead Hut. The Appalacian Trail runs over the summit as part of the Twinway trial. 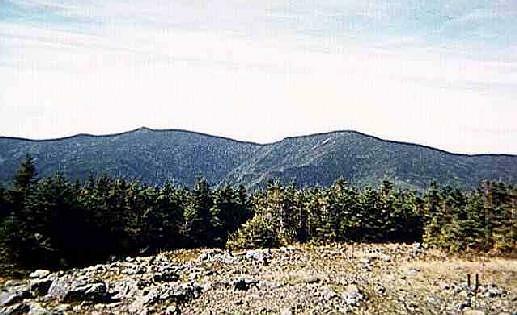 The summit is bare, being just above treeline and has views in all directions. The name of the Twins was first used on the 1853 map of the Whites by George Bond. North Twin Spur - This short trail connects North and South Twin. It is 1.3 miles long. North Twin Trail - To gain access to the Twins, this trail is quick but difficult in places. It starts at the end of the Hastack Road off Rt 3 and follows a brook for much of the lower sections. The trail crosses the brook several times, and in high water conditions you can bushwack between the 2nd and 3rd, avoiding two crossings. It is 4.3 miles long. Gale River Trail - This is the most direct access to Galehead Hut, and from there, to South Twin. The route is 4.6 miles to the hut, with the last .6 miles being on the Garfield Ridge Trail. Twinway - The Twinway is the part of the Appalacian Trail for its full length. 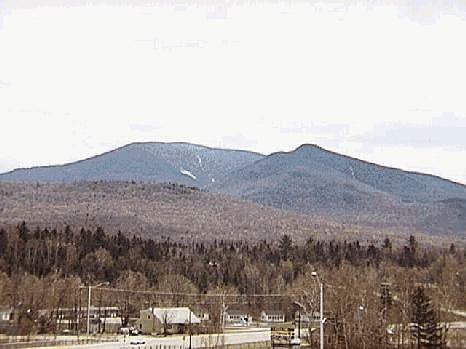 It runs from Galehead Hut to Zealand Falls hut, going over South Twin, Guyot, and Zealand mountains along the way. The section from Galehead Hut to South Twin is steep, gaining 1100' in one mile. From the north the trail climbs from Zealand Falls Hut to Zeacliff with excellent views, then Zealand which is completely wooded, and the junction of the Bondcliff Trail near the clearings by Mt Guyot, before climbing to South Twin. Zealand Trail - This is the most direct route to Zealand Falls Hut, and the Twinway. From the parking area on the Zealand Road to the hut is a gentle 2.3 miles. Gale River Loop - This road leaves Rt 3 at the junction with Trudeau Road. To get to the trailhead follow the Gale River Road (FR 25) for .6 miles and turn right onto the Gale River Loop for 1.3 miles. The trailhead is on the left, just after crossing a bridge. A WMNF parking pass is required and day passes are available at the parking lot kiosk. Haystack Road - Also known as FR 203, this dirt road is 2.3 miles west of the junction of Rts 3 and 302 in Twin Mountain. This road is gated in winter, roughly from mid-November to May. 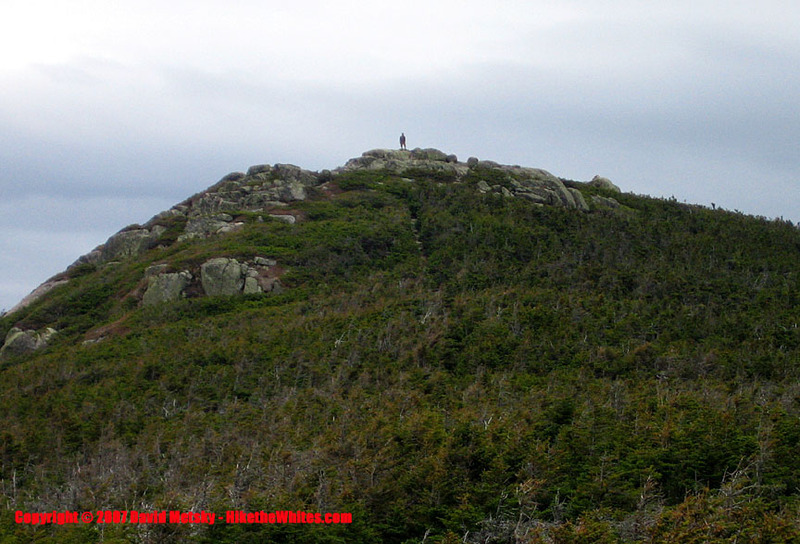 The Haystack Road is 2.5 miles long, and there are USFS camping spots along the way. A WMNF parking pass is required and day passes are available at the parking lot kiosk. Zealand Road - This road leaves Rt 302 2.2 miles east of the junction with Rt 3 in Twin Mountain. There is a gate which is closed roughly from mid-November to May. The dirt road climbs for 3.5 miles to the large parking area at the trailhead. A WMNF parking pass is required, and day passes are available at the parking lot kiosk.